Essential tremor is one of the most common movement disorders, characterized by involuntary shaking. Essential tremors are progressive and usually affect the upper extremities. While essential tremor is not dangerous, it may worsen over time. In some cases, it can significantly impact a person’s quality of life. Factors such as physical and emotional stress exacerbate the condition. The causes of essential tremor are unknown, but most reported cases are hereditary. Moreover, experts believe that it could also be caused by genetics, as well as lifestyle and environmental factors. In mild cases, treatment may not be necessary, but medication may be prescribed to help relieve cases that meddle with day-to-day living. Essential tremor is usually seen in people in their 20s, but it can also occur in people in the late 60s or 70s. Initially, the tremor can be noticed in the forearm and hands, but it can also affect the arms, head, eyelids, or other muscles. It rarely occurs in the legs or the feet. The tremors may be noticeable during movement (action-related) tremor and may subside with rest. While it comes and goes for young people with the condition, it progresses with age. Stress, caffeine, a lack of sleep, and certain medicines may worsen the tremor. However, it may slightly improve with a small amount of alcohol. To note, essential tremors are different from tremors caused by alcohol and smoking withdrawal, excessive caffeine intake, nervousness and anxiety, and reactions to medication. Here are some recommended food items and nutrients to manage the condition. Magnesium is known to relieve symptoms of essential tremors. Other supplements include vitamin C, iodine, vitamin B complex, and gamma-Aminobutyric acid (GABA). Fava beans support brain process, which may limit shaking. It also contains high concentrations of thiamin, vitamin K, vitamin B-6, potassium, copper, selenium, zinc, and magnesium. Mucuna pruriens, or cowhage, possesses nutrients that boost a person’s health and treats various conditions. In addition, avoid gluten and aspartame as these two increase the likelihood of triggering a tremor. 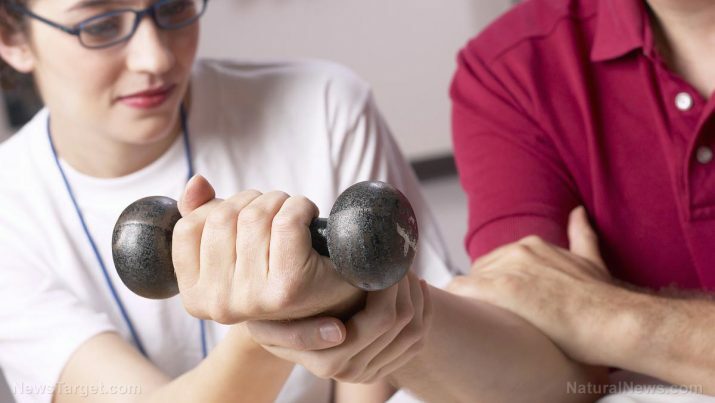 Mild cases of essential tremor do not require treatment, but if it impedes a person from performing daily activities, both medication and physical therapy are viable options that a health professional will recommend. Some medications include the following. Beta blockers, usually used to relieve high blood pressure, can be used to help manage tremors. However, these may not be suitable for everyone, especially for those with heart problems. Anti-epilepsy drugs can also be used if beta blockers are ineffective. However, short-term side effects like drowsiness or nausea may occur. Tranquilizers are used to treat people with tremors that are worsened with anxiety. OnabotulinumtoxinA (Botox) injections improve tremors for at least three months at a time. However, this can cause weakness if it is applied to the hands. In therapy, adaptive devices will be used to minimize the impact of tremors in a person’s daily activities. This could include heavier glasses and utensils, wrist weights, and wider, heavier writing tools. Avoid caffeine and other stimulants since they can aggravate tremors. Do not rely too much on alcohol to relieve the symptoms of essential tremors. The condition worsens once the alcohol wears off. Learning to relax helps relieve tremors that are caused by stress and anxiety. Actively modifying a person’s lifestyle to adapt to the tremors will also improve his quality of life in the long run. Essential tremor is characterized by involuntary shaking that is progressive and usually affects the upper extremities. While essential tremor is not dangerous, it may worsen over time. Factors such as physical and emotional stress exacerbate the condition. The causes of essential tremor are unknown, but experts believe that it could also be caused by genetics, as well as lifestyle and environmental factors. In mild cases, treatment may not be necessary, but medication may be prescribed to help relieve cases that meddle with day-to-day living.